COLOR The World with PRIDE! 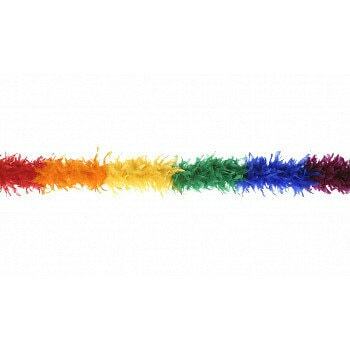 These Rainbow PRIDE Heavyweight Chandelle Feather Boas are 2 yards (6 ft) long, and approx 7.5" in diameter. This heavyweight boa is the fullest and most luxurious of the Chandelle Boas. 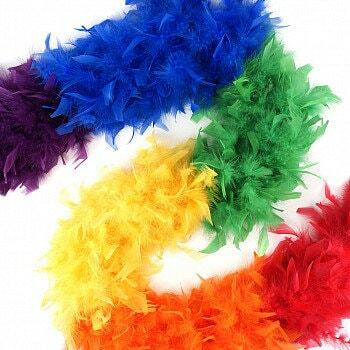 Sectional boas are sewn together in color sections to create a banner, or color theme impression. Chandelle boas can be cut without unraveling as feathers are sewn on to a cotton cord.